Defendants in a Munster wrongful death lawsuit are asking the Indiana Supreme Court to weigh in on whether a woman who drowned in the pastors’ pool was an independent contractor or an employee of the pastors or the church. The answer to that question matters because under Indiana’s Workers’ Compensation Law, workers’ compensation death benefits would be considered the exclusive remedy for an employee killed in the course and scope of employment. However, independent contractors in Indiana aren’t entitled to workers’ compensation, and they would thus have the right to file a lawsuit against the company. As our attorneys can explain, there are some key differences between the two types of cases. On the positive side, with workers’ compensation, one does not need to prove the defendant/employer did anything wrong (i.e., was negligent). It’s a no-fault system, and payments should be made as long as the injury or death arose out of and in the course of one’s employment. However, recipients of death benefits cannot pursue certain types of damages, such as pain and suffering, loss of life enjoyment, or loss of consortium. Those damages are available in an Indiana wrongful death case. Here, the plaintiff (the decedent’s mother) is asserting she was an independent contractor, and therefore the exclusive remedy provision of the law doesn’t apply, so she is free to pursue her claim in state court. The church is arguing she was an employee, and the exclusive remedy rule does apply, so the claim must be weighed by the state’s Workers’ Compensation Board. According to local news reports of the case, the decedent was a full-time university student and a member of the church’s congregation. For two months in 2015, the church hired her to work as a babysitter, under the direct supervision of the defendant pastors. She filled out an IRS Form W-9 when hired. This form is specifically intended for independent contractors. She babysat at the church on five occasions during those two months, both at the church and at the pastor’s private residence. She was paid on each occasion. She didn’t have a set work schedule at the church, but she accepted jobs with the church if they didn’t conflict with her other job at the university dining hall or her classes. One evening, she was babysitting the defendants’ granddaughter at their residence. At around 3 p.m., someone found the decedent floating face down and unresponsive in the swimming pool. She was later pronounced dead. The coroner ruled the death accidental, but her mother insists the death is suspicious, given the fact that her daughter was a former lifeguard. The church and the pastors insist that the young woman was their employee and that workers’ compensation is the exclusive remedy. The Indiana Court of Appeals sided with the girls’ mother in April. In reaching its decision, the appellate court looked at a 10-factor analysis to ascertain whether the decedent was an independent contractor or an employee. It considered the fact that she was a full-time student with another regular job, she worked irregular hours as a babysitter, she was paid for each babysitting job individually, she was free to accept or reject babysitting jobs, and no pay was withheld for taxes. Now, the church, claiming the appellate court erred, is asking the Indiana Supreme Court to consider the question. The court has not yet indicated whether it will accept review of this Indiana wrongful death case. 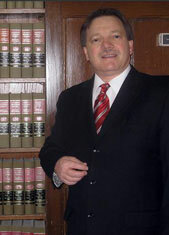 Indiana Wrongful Death Attorney Burton A. Padove handles wrongful death and personal injury claims throughout northern Indiana, including Highland, Gary and Hammond. Call Toll Free 877-446-5294.